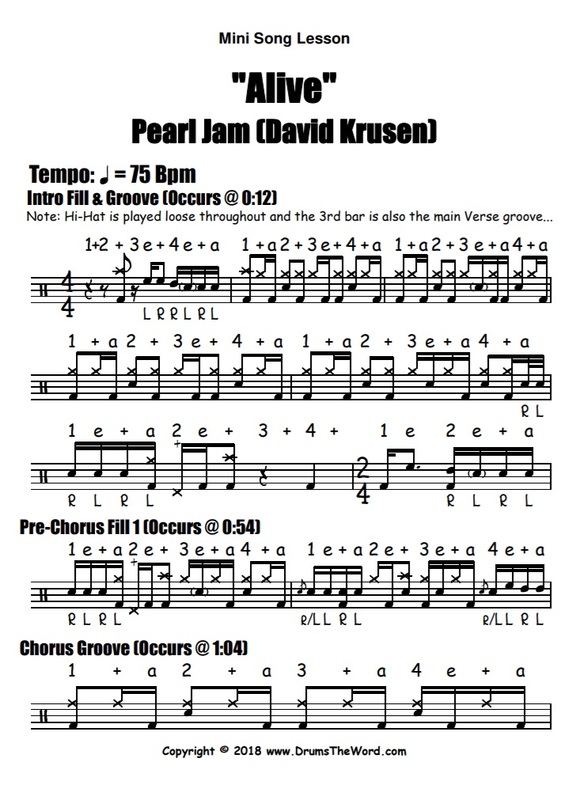 In this free video drum lesson, I want to teach you the main drum parts from the song “Alive” by Pearl Jam, featuring the drumming of David Krusen. This video was suggested by my YouTube followers over on my YouTube Channel. 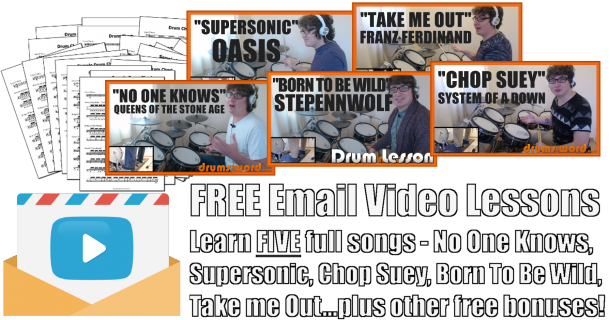 The free PDF below is a “cheat sheet” containing just the most important and prominent beats and fills from the song. If you want to make your own song suggestions then please click HERE to go to YouTube and then type into the comments section of the video your own song ideas.